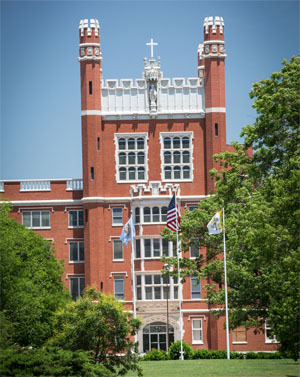 SHAWNEE – The Board of Directors of St. Gregory’s University made the difficult, but necessary, decision on Wednesday to suspend operations of the university at the end of this semester, following the denial of their loan application to the U.S. Department of Agriculture. Without this component in the financial plan, the ability to sustain the university at this point is not possible. The Board of Directors continues to work actively to resolve financial difficulties and to explore possible partnerships in order to move forward. 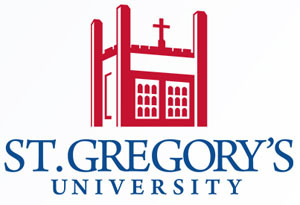 “With great sadness, the Board of Directors of St. Gregory’s University voted today to suspend operations effective at the close of the fall semester 2017,” said Fr. Don Wolf, Chairman of the Board. “Our main concern at this moment is for our students, staff, and faculty who will be profoundly impacted by this decision. The University is working with several colleges to facilitate student transfers in an attempt to minimize disruption in our students’ lives. Please keep them in your prayers,” Fr. wolf added. 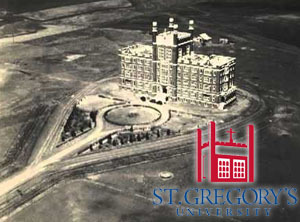 Established in 1875, St. Gregory’s is a private liberal arts college and Oklahoma’s only Catholic university located 40 miles east of Oklahoma City. “My heart breaks for the profound disruption in the lives of our wonderful students, staff, and faculty as the Board of Directors voted to suspend operations of one of Oklahoma’s iconic institutions of higher learning. We will do everything possible to ease the transition as we work with other colleges to place our students. My heart also breaks at the suspension of Catholic liberal arts education in Oklahoma,” said Dr. Michael Scaperlanda, President of St. Gregory’s University. The university will finalize a provisional plan with the Higher Learning Commission. Once the plan is approved by HLC, students will be notified of the plan. Teach-out agreements and transfer opportunities are underway with area universities. Over the next few weeks, transfer fairs and job fairs will be scheduled on campus. “I am grateful for our excellent staff and faculty who have labored for years under severe financial constraints, dedicated to providing the best education for our students. “They have provided generations of students a framework to live joy-filled lives in service to others. 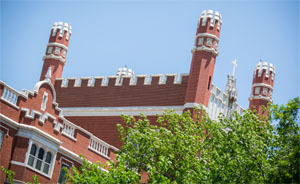 I am also grateful for the dedication and sacrifice of the monastic community, the Board of Directors, the Citizen Potawatomi Nation, the Catholic Church of Oklahoma and countless others who have prayed for St. Gregory’s and given of their resources to help sustain the university,” President Scaperlanda said. Rt. Rev. Lawrence Stasyszen, Abbot and Chancellor of St. Gregory’s expressed that “The monks of St. Gregory’s Abbey are deeply concerned by this turn of events. We are especially concerned for the families who will be impacted by this development. Our community has made one of our highest priorities the mission of education since coming to Indian Territory in 1875. “We are grateful to the countless people who have been partners with us in this ministry, especially the Citizen Potawatomi Nation and many dedicated colleagues and donors. We maintain our commitment to pray for all who have attended and supported St. Gregory’s over the years, and will explore new ways of contributing to the culture of Oklahoma.” The Abbey will continue serving the Catholic community. “Like so many small liberal arts colleges, St. Gregory’s has struggled financially for years. We are grateful to St. Gregory’s Abbey, the Citizen Potawatomi Nation, and the Archdiocese of Oklahoma City for providing bridge funding as the university worked to create a financially sustainable business model,” Rt. Rev. Stasyszen added. 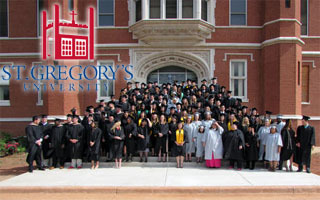 For more information and updates, visit www.stgregorys.edu. This entry was posted in State on November 9, 2017 by admin.